Just like the flash cards of our youth, infographics make it much easier to digest, understand and remember information, whether we’re talking multiplication tables or architectural styles. 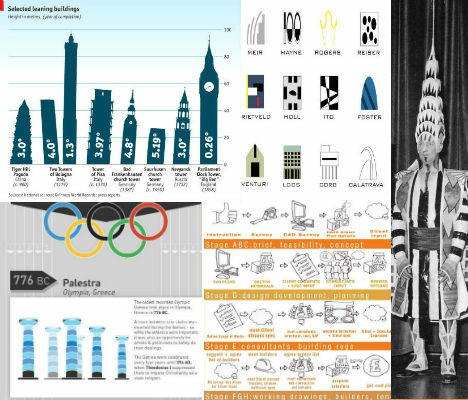 From fun images that break down famous architects’ signature styles into recognizable icons to charts of the world’s tallest buildings, these 15 infographics condense interesting facts about architecture into highly engaging visual learning tools. Click the images to view full-size. Notable architects of the 20th and 21st centuries including Santiago Calatrava, Frank Lloyd Wright, Tadao Ando, Rem Koolhaas and Zaha Hadid get the graphic treatment in this All Nighter Original poster. The infographic breaks down each architect’s most notable works into graphic icons, like Foster + Partners’ 30 St. Mary Axe tower (‘The Gherkin’). 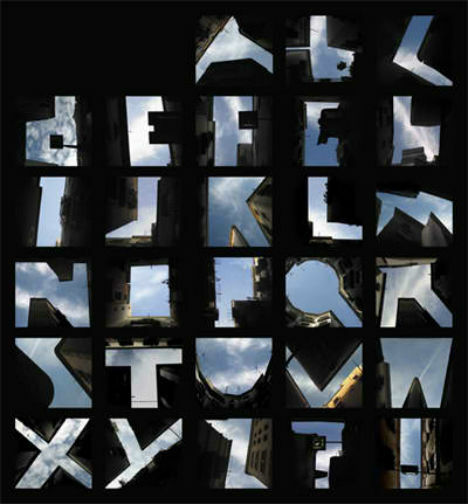 There are three types of architecture in the Martin Scorcese film Inception: real-world architecture, the intricately designed architecture created for the dream worlds, and the structure of the film’s plot throughout those dream worlds. This infographic, by graphic designer Rick Slusher, deals with the third. 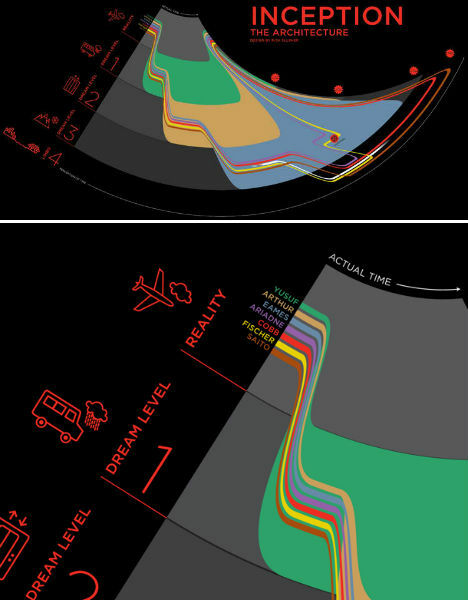 The many layers of plot throughout each ‘level’ of the dream world is laid out here in a way that is easier to understand than the movie itself. Ever wonder how an architect comes up with a plan for a building, step-by-step? 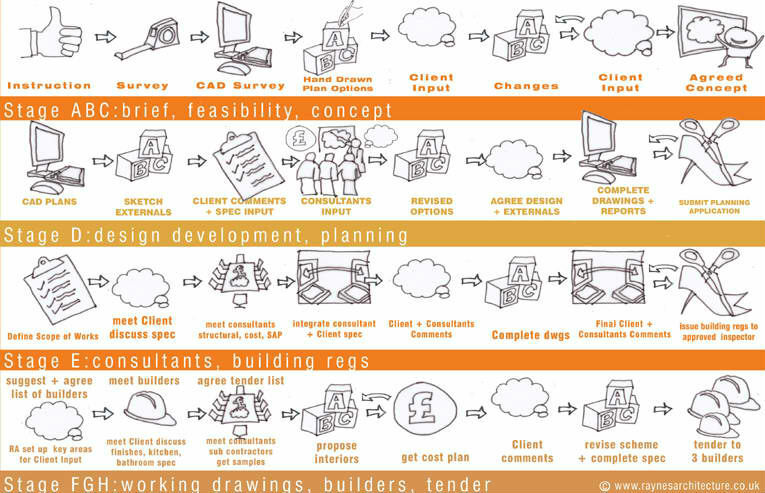 Raynes Architecture lays it out in this infographic, from their first surveys to handing the completed project over to a builder. How is the home renovation market shaping up this year? 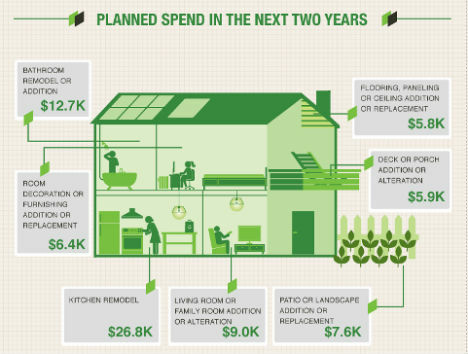 Canyon Design Build created this infographic that tells us where homeowners plan to spend their money over the next two years, with the biggest chunk continuing to go toward kitchens. 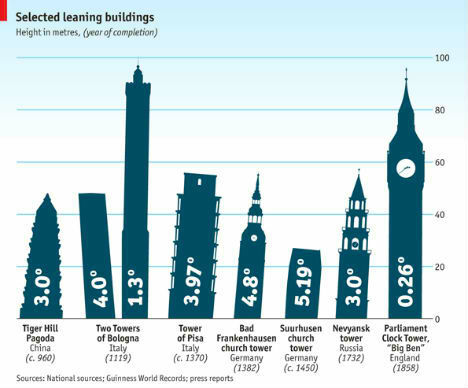 Compare the precarious angles of the world’s most notable leaning buildings in this infographic from the Economist. While the Leaning Tower of Pisa is the most famous of them all, Germany’s Bad Frankenhausen Tower and one of the Two Towers of Bologna are actually more in danger of toppling. 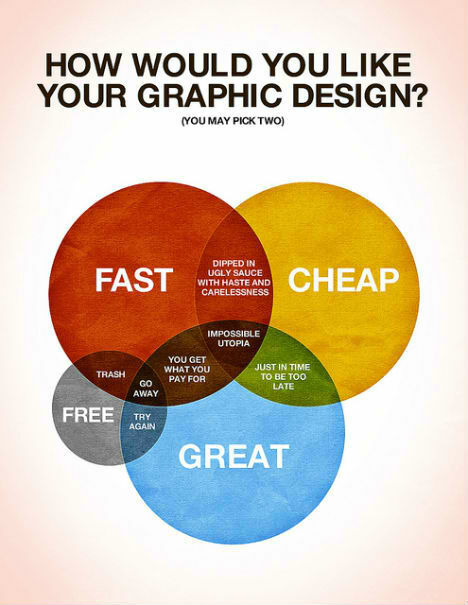 This infographic about graphic design, created by Colin Harman, is just as applicable to architecture. So you’d like your project to be fast, cheap (or free) and great? Pick any two. 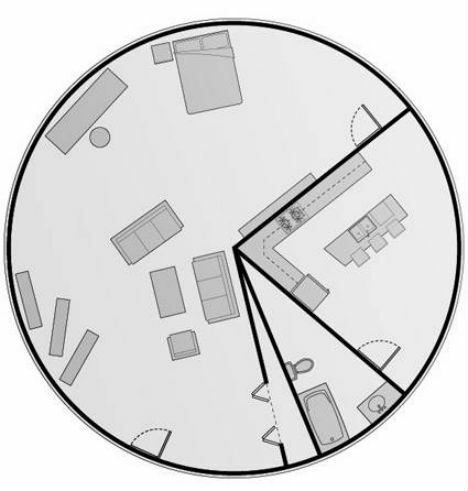 Designer Abi Huynh created this pie graph, which breaks down interior spaces according to how much they’re actually utilized. 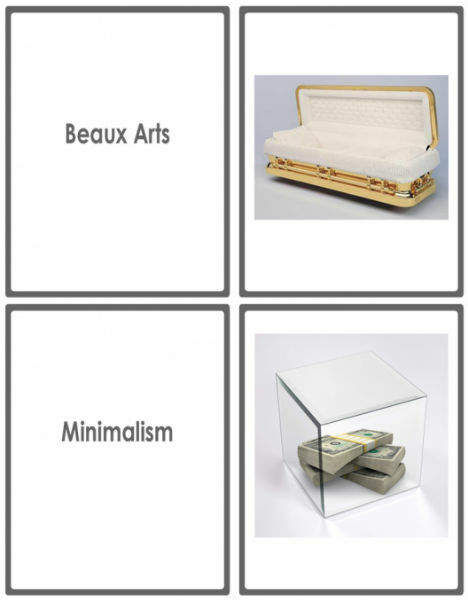 Brush up on the various styles of architecture with humorous flash cards made by Coffee with an Architect, including Beaux Arts, Tudor, Jacobean, Vernacular and Minimalism. See them all here. 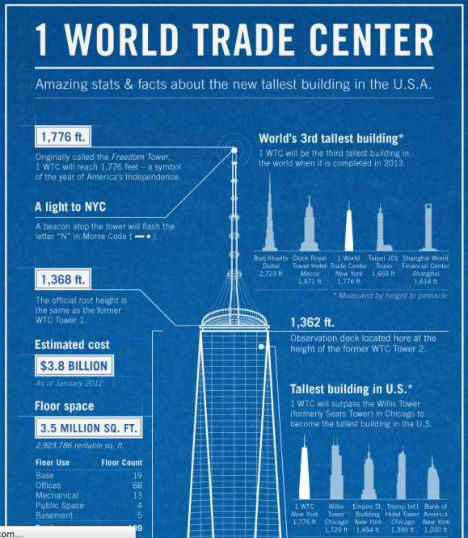 The facts about One World Trade Center, the new trade center building set to become America’s tallest structure, are all laid out in this infographic created by Online-Architecture-Degree.com. 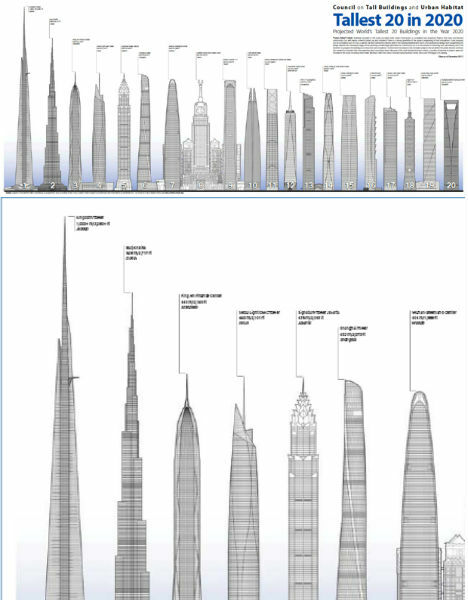 The building will be 1,776 feet tall, in honor of the year of America’s Independence. 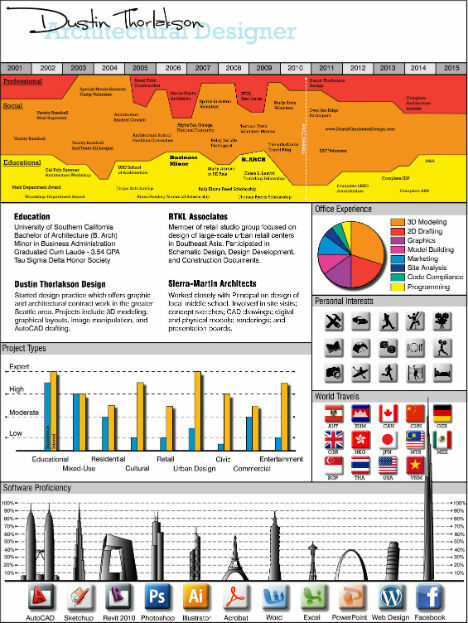 Architectural designer Dustin Thorlakson presents his resume in infographic form, making it easy to get a sense of his past experience at a glance. The development of construction methods utilizing steel has made a huge impact on architecture. Just how much of an impact? 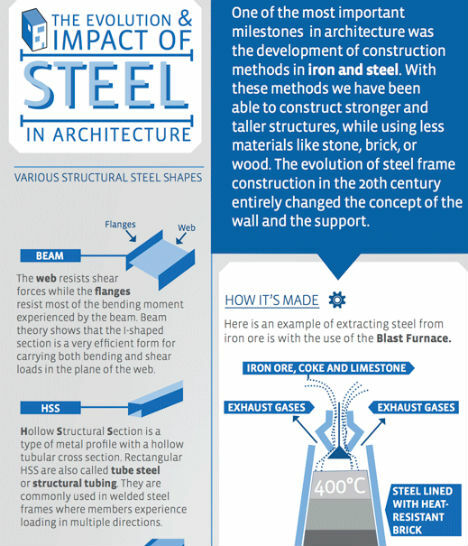 This infographic by Megan Jett of ArchDaily examines the types of steel used, how it’s made, and a timeline of its history. 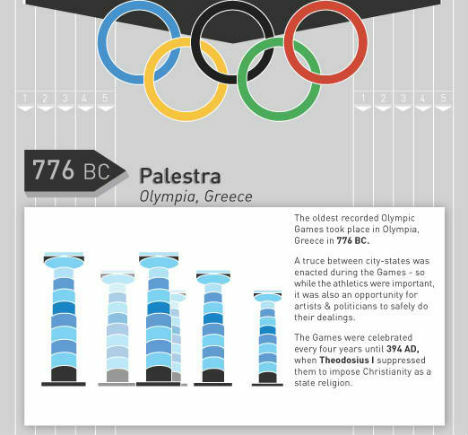 ArchDaily offers an updated infographic of the most iconic buildings of the Olympic Games from 776 B.C. all the way through 2012. 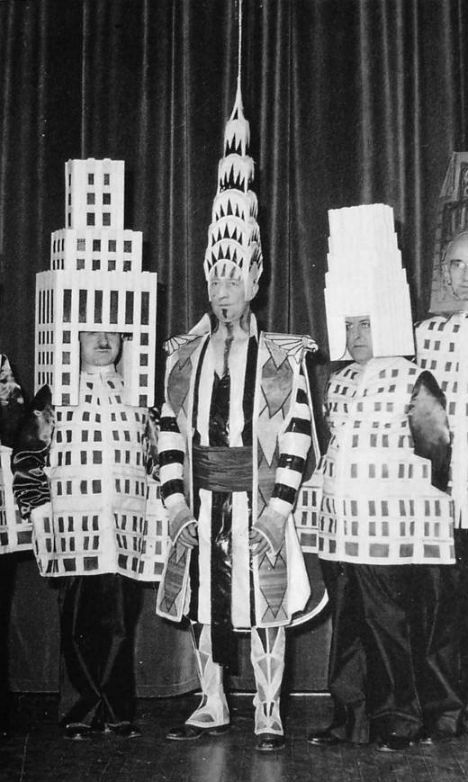 Retronaut dug up this awesome photo of famous architects literally dressed as their buildings in what could almost be described as a living infographic.